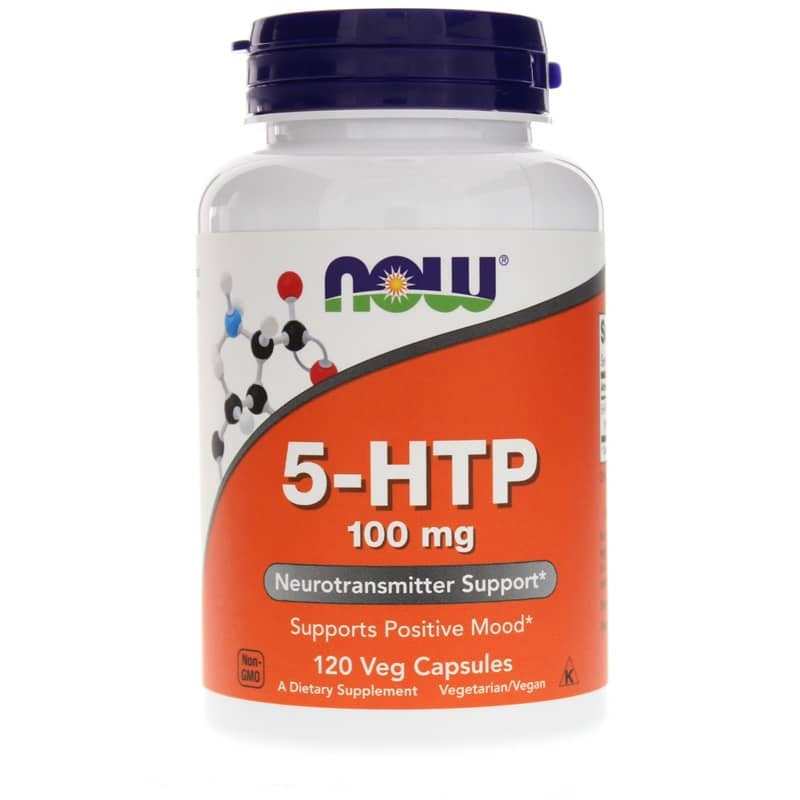 NOW 5-HTP offers neurotransmitter support and supports positive mood. 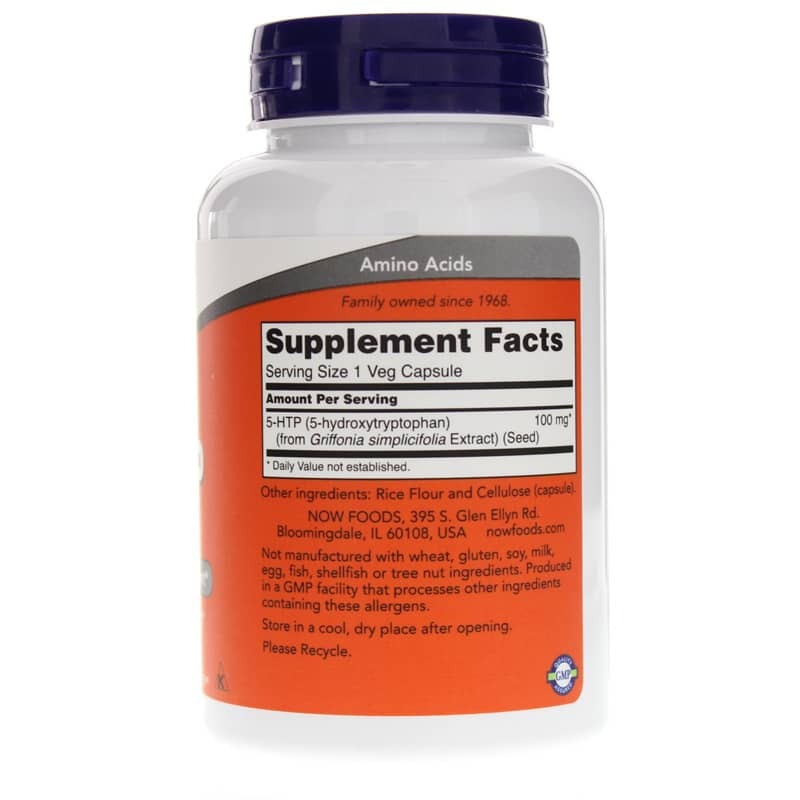 * 5-HTP, the intermediate metabolite between the amino acid L-tryptophan and serotonin, is extracted from the bean of an African plant (Griffonia simplicifolia). 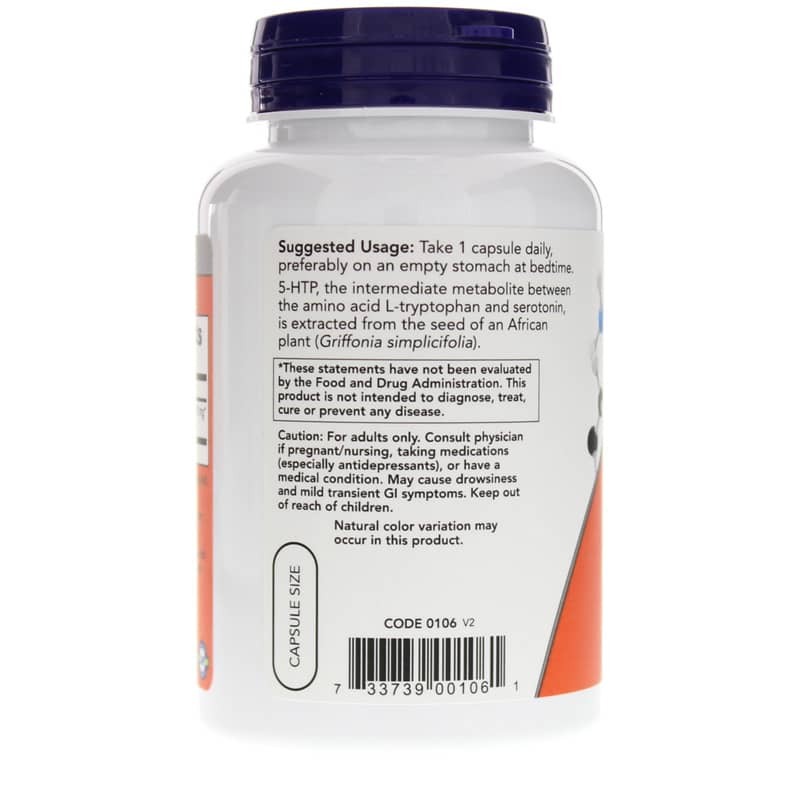 5-HTP supports the production of Serotonin, and thus supports its positive effects on emotional well-being, appetite control, and wake/sleep cycles*. Not manufactured with: wheat, gluten, soy, milk, egg, fish, shellfish or tree nut ingredients. Produced in a GMP facility that processes other ingredients containing these allergens. Non-GMO. Vegetarian/Vegan. Kosher. For adults only. Consult physician if pregnant, nursing, taking medications (especially antidepressants, or have a medical condition. May cause drowsiness and mild transient GI symptoms. Keep out of the reach of children.